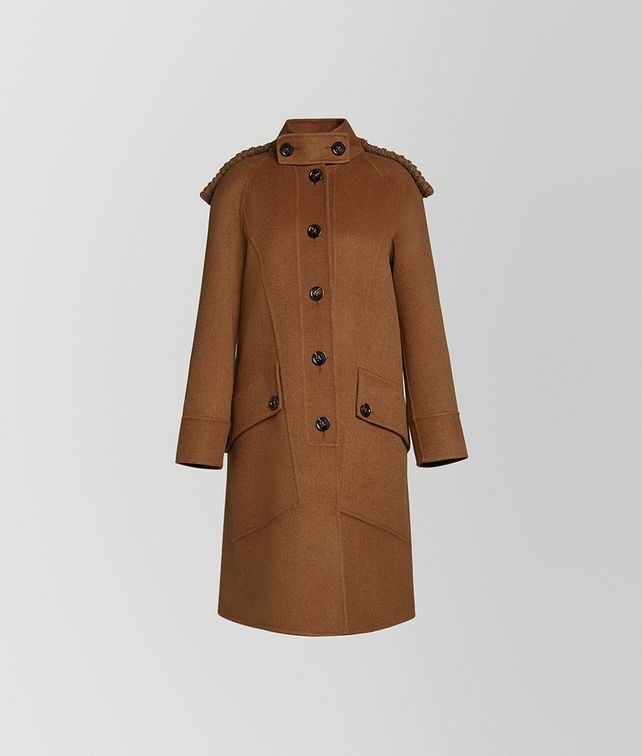 This coat is crafted from double cashmere, a Bottega Veneta specialty known for its incredible softness and light weight. The sporty coat is cut just above the knee features a removable knitted hood. Fasten the tab closure at the neck for extra warmth. Finished with flap pockets with a double-button closure.